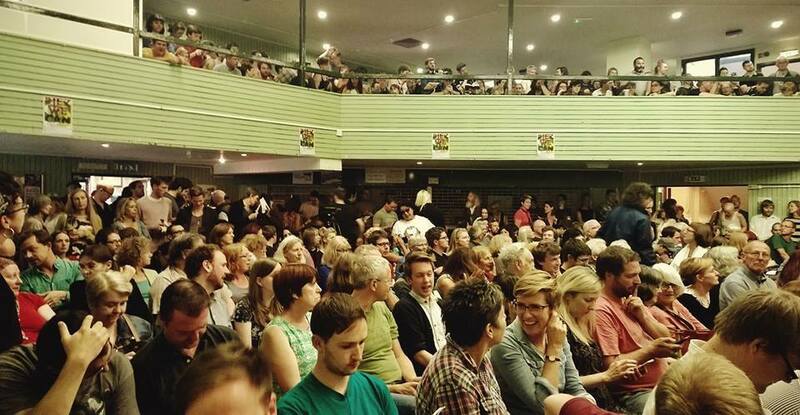 Jeremy Corbyn addresses a crowd of 2500 on August 3, at Camdeen Town Hall in London. Photo via Twitter/@corbynforleader. More on Jeremy Corbyn and Left Unity. Left Unity, September 12 -- Jeremy Corbyn is the new leader of the Labour Party. Who could have imagined writing such a sentence only a few weeks ago? His victory shatters the austerity consensus that has dominated British politics for the last five years. This is a victory for the movement as a whole. It is a victory for all those opposing the welfare cuts, for all those campaigning against war and racism, for all those fighting to defend our NHS and a host of other issues. Jeremy’s election will have the effect of a dam breaking in British political life. It will shift the centre of political gravity to the left. There were two intersecting currents behind the dramatic growth of the Corbyn campaign. Firstly there was the long pent-up resentment against the Blairite wing of the party, which the new process for electing the leadership allowed to be unleashed. 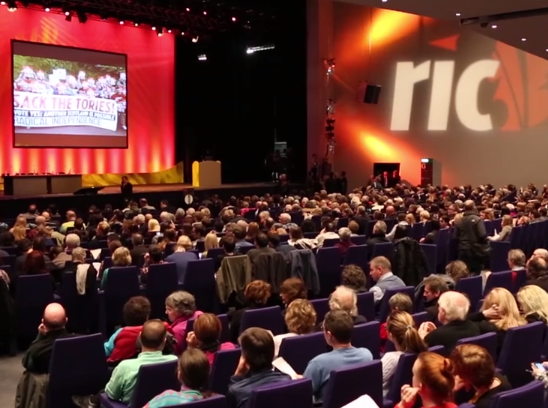 August 25, 2015 -- STV News, posted at Links International Journal of Socialist Renewal -- On August 29 in Glasgow we will see the birth of a Rise, a new left wing anti-austerity movement designed to shake up Scotland's political establishment and win seats at next year's Holyrood elections. Born out of the referendum campaign using an umbrella model based on SYRIZA in Greece, the alliance brings together activists from different left-wing strands on a platform spelled out by its name: Respect, Independence, Socialism, Enviromentalism. The group's website carries a statement of intent, which reads: "There is a need for something truly new and original to be born out of the independence movement that can manifest itself at the ballot box in 2016 and beyond. We do not presume to have all of the answers, but we intend to start a conversation around certain core principles that must be represented in politics once more. 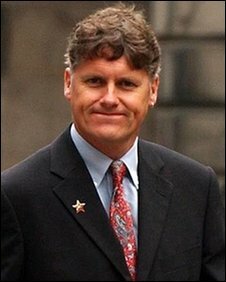 August 8, 2015 -- Scottish Socialist Party, posted at Links International Journal of Socialist Renewal -- The Scottish Socialist Party (SSP) National Council members have voted in favour of the party becoming an affiliate of a new electoral alliance for the Scottish elections next year. Party co-spokesperson Sandra Webster highlighted the potential for socialism to grow in this alliance. 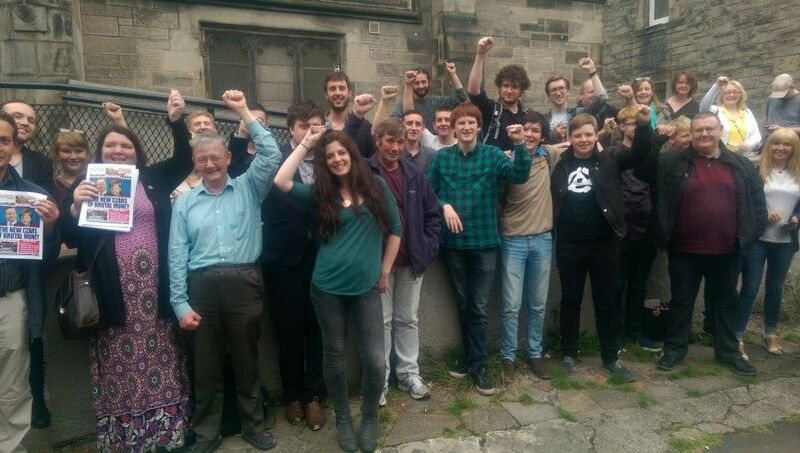 At our NC ... the comrades present voted to enter an alliance with the soon to be renamed Scottish Left Project. All of our comrades should be proud of their passionate discussion and resolution. The SSP look forward to being at the heart of the alliance hoping socialists may be elected to Holyrood in 2016. I look forward to continuing to build the SSP and building a movement that is truly grassroots. 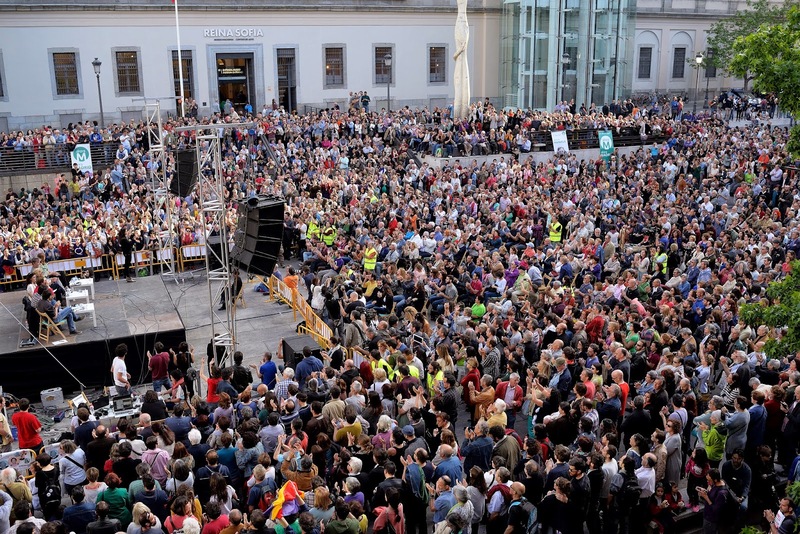 A Corbyn rally in Bristol. July 31, 2015 -- Socialist Resistance, posted at Links International Journal of Socialist Renewal -- The Jeremy Corbyn campaign for the Labour Party leadership is a remarkable phenomenon. He stands a very good chance of winningunless the Labour Party establishment can turn around the tide over the next six weeks. The support from inside major trade unions for Corbyn’s candidacy has been extraordinary. SSP national co-spokesperson Colin Fox. May 25, 2015 -- Scottish Left Project, posted at Links International Journal of Socialist Renewal -- The Scottish Left Project welcomes the motion passed at the Scottish Socialist Party annual conference calling for a new left electoral alliance in time for the 2016 Holyrood [Scottish] elections. The Scottish Socialist Party believes the Scottish Left Project electoral alliance has great potential and we want to help harvest that potential. We bring our experience and expertise as a party, one that has fought all four previous Holyrood elections, with us. And we look forward to meeting our partners in the Left Project in the next few days to see what progress can now be made towards advancing our shared political goals. Conversation in the Reina Sofia Museum Square, Madrid, attended by various left coalitions standing in the May 24 municipal polls. For more on politics in Spain, click HERE. May 21, 2015 – Links International Journal of Socialist Renewal -- A commentator for the mainstream Barcelona daily La Vanguardia reported in its May 9 edition on a conversation in a lift that he had overheard between two “executives of a certain age”. They were talking about an opinion poll giving the radical, movement-based ticket “Barcelona Together” and its mayoral candidate, housing rights activist Ada Colau, the lead in the March 24 contest for the Barcelona City Council. On that day elections will also be held in all municipalities in the Spanish state, as well as in 13 of the country’s 17 autonomous communities (states). 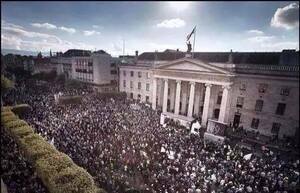 Irish protest against water charges at the GPO in January. May 8, 2015 -- Broadsheet.ie, posted at Links International Journal of Socialist Renewal -- Hope has been in short supply in Ireland in recent years but, thankfully, it has emerged in recent months. But this hope has not come in the so-called "recovery", which is deeply uneven across the country and from which the majority of people remain excluded. No, the real hope emerged, first in the mass protests against water charges, and now in the possibility of a new political movement built from the grassroots of these unprecedented protests. Since Ireland's independence in 1921 the overwhelming majority of Irish governments have been composed of the tweedle-dee, tweedle-dum parties of Fine Gael/Fianna Fail/Labour Party. What have they achieved for ordinary people? Corruption, inequality and austerity are now the hallmarks of the Irish Republic, a centenary after its founders aimed for a Republic of equality. Click for more discussion of Irish politics. May 1, 2015 -- Links International Journal of Socialist Renewal -- Ireland's left, under the impact of the mass movement against water charges that has thrown traditional politics into turmoil, is discussing how it can organise to seriously challenge for power. 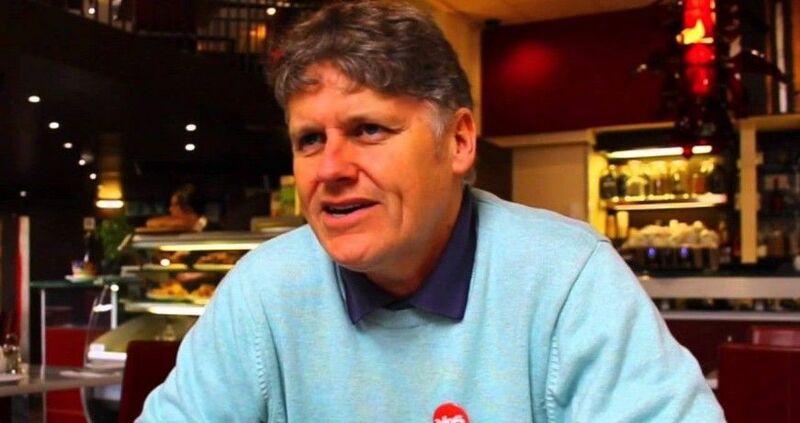 On May 1, in Dublin, five trade unions involved in the Right2Water (R2W) campaign are hosting a conference to discuss a “Platform for Renewal” for the general election due within the year. There will be guest speakers from SYRIZA, Podemos and the European movement against water privatisation. R2W includes the radical left, Sinn Féin, other left politicians and the extensive network of anti-water charges grassroots groups in towns and communities across Ireland. R2W has mobilised four massive protests in since October 1, 2013, which have rocked the establishment. Ireland's Irish Left Review is housing a discussion on what way forward for the left, from which the contribution below first appeared. 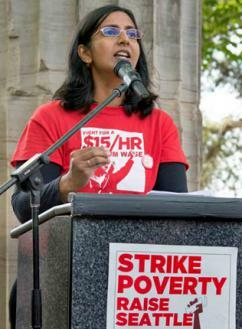 Click HERE for more on Kshama Sawant and other socialist municipal election campaigns. 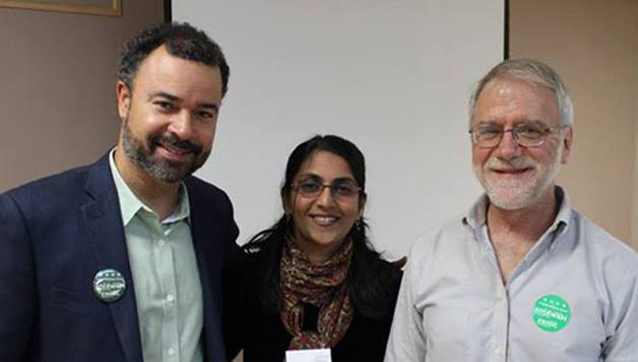 March 17, 2015 -- Socialist Worker (USA), posted at Links International of Socialist Renewal -- The Urban League is going after the only leftist and the only woman of colour on the Seattle City Council. Rather than challenging the pro-corporate advocates of neoliberalism, whether Democrat or Republican, who increasingly dominate US politics, this well-known liberal organisation is expending its energy on defeating the left. Pamela Banks, president of the Urban League of Metropolitan Seattle, announced this month that she will run in the next municipal election against City Council member Kshama Sawant, the Socialist Alternative candidate who won national attention for her successful 2013 campaign. 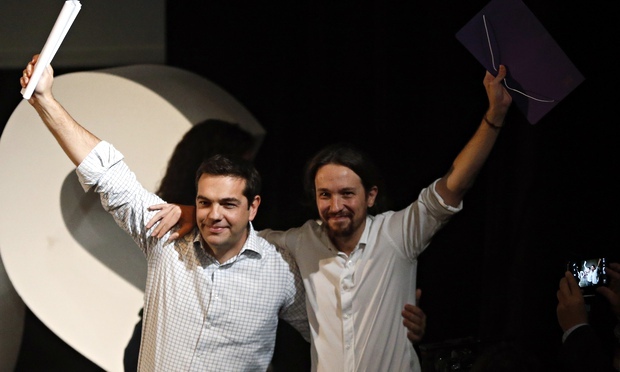 Alexis Tsipras and Pablo Iglesias. February 2, 2015 -- Links International Journal of Socialist Renewal -- The victory of SYRIZA in the January 25, 2015, general election in Greece has led to widespread discussions across the Europe on the way forward for the left. In Spain, the rapid rise in the polls of the Podemos party has excited many. The following is one viewpoint on the meaning of the SYRIZA win for the Spansih left. 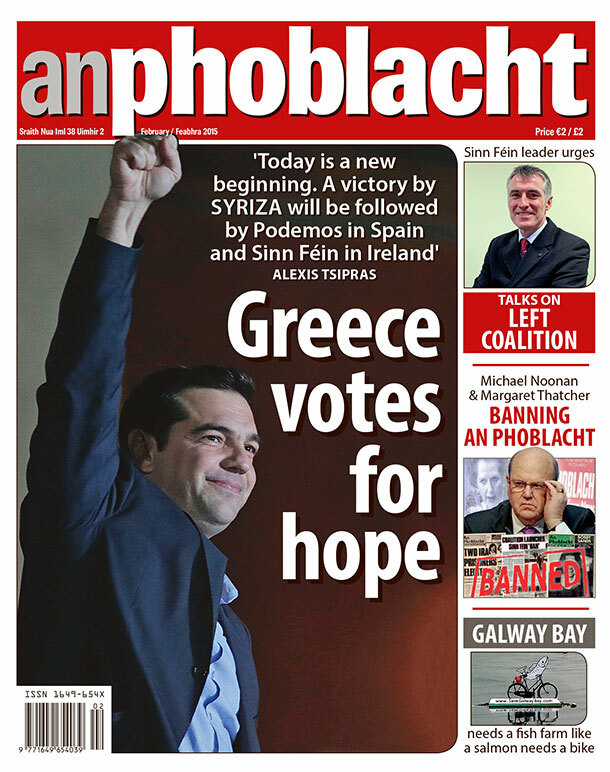 January 29, 2015 -- An Phoblacht, posted at Links International Journal of Socialist Renewal -- Sinn Féin national chairperson Declan Kearney calls in the February issue of An Phoblacht for formal discussions on building an Irish left alternative in the wake of the success of SYRIZA in Greece. November 11, 2014 – Links International Journal of Socialist Renewal -- Scottish Socialist Party (SSP) national spokesperson Colin Fox has written to Scottish National Party (SNP) leader elect Nicola Sturgeon and Scottish Green Party leader Patrick Harvie inviting them to support “Independence Alliance” candidates from the Yes campaign in the 2015 Westminster general election. Syriza leader Alexis Tsipras with Left Unity national secretary Kate Hudson. For more on Left Unity, click HERE. October 27, 2014 -- Green Left Weekly -- Left Unity is a new political group in Britain created out of a call last year by filmmaker Ken Loach for a new party to the left of Labour, which has moved rightwards in recent years and supports anti-worker austerity measures. 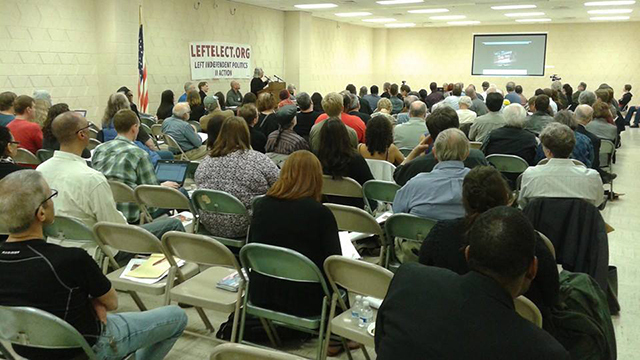 The call was supported by thousands of people and Left Unity held its founding conference in November last year. Green Left Weekly's Denis Rogatyuk spoke with Left Unity's national secretary Kate Hudson, a veteran campaigner who is also general secretary of the Campaign for Nuclear Disarmament. 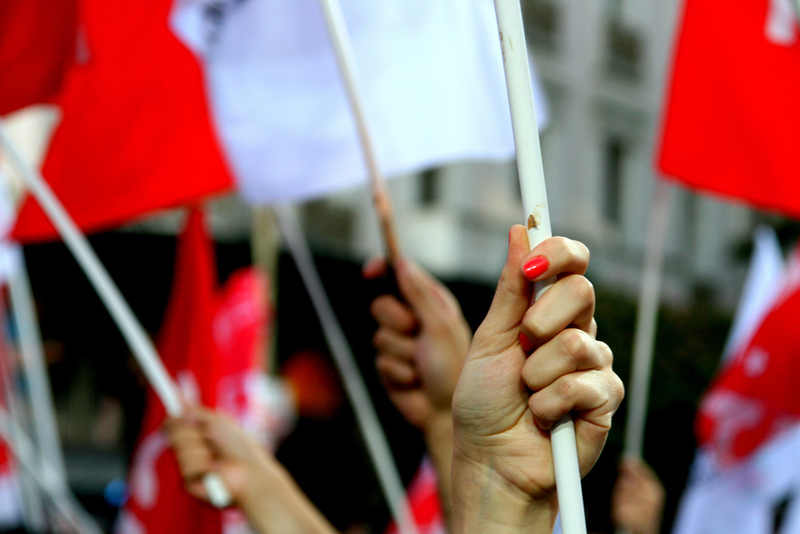 Left Unity’s platform consists of socialism, feminism, environmentalism and anti-racism, among other features. How was this platform conceived? What was the decision-making process behind it? The origins of the Left Unity project came in November 2012 out of the common struggle across Europe against austerity. There was a coordinated general strike across Europe on November 14 and we wanted to participate in that in Britain.